Throughout Eastern North Carolina, there are very special volunteers who give gifts of time and love to families who are facing final illnesses. 3HC is grateful for the many individuals over the years who have served as hospice volunteers. Volunteers add a needed dimension to the care of the terminally ill. Beyond the excellent care given by our medical professionals, volunteers are often a friend outside the family who can add perspective and non-judgmental listening at a time when it is greatly needed. “Over the past 12 years, I have served many male hospice patients in their homes. While I have given my time and hopefully my talent, I have also received much in return. Each and every patient had a unique life story, and the primary caregivers impressed me with their love and devotion to husband or father. I had the honor and privilege to work with many WWII Veterans who came home from the war’s death and destruction and put it all behind them. They went to work, raised a family and continued to honor God and country. Most never shared their war experiences with their children, but did so with me. After they died, I was able to tell their children just how much of a war hero their fathers were. 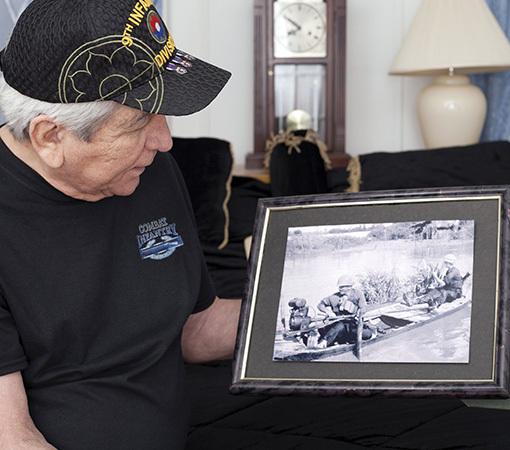 There were other veterans who came home after exposure to nuclear radiation in Japan with resulting tumors and cancers. They established their businesses and were productive members of their community. It has been a great reward for me to have known and served them. I have found joy and satisfaction in serving hospice families. 3HC has been and continues to be a blessing in caring for the dying. I thank the organization for the work they do, and for allowing me to serve. Sharing of your time and talent with others is the very best way to thank God for the many blessings and benefits bestowed on you. 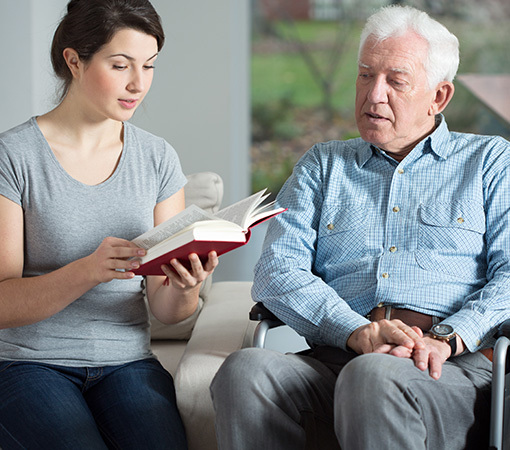 Some call it “Giving Back.” Others may call it, “recognition of the needs of others and helping meet those needs.” In the case of hospice patients, there are needs at many levels. When someone is ill, homebound, or perhaps bedridden, they welcome some companionship, a person to talk to and share with. Several hours per week spent with a hospice patient can mean a great deal to them. Also, primary caregivers who take care of their loved ones 24 hours a day, seven days a week deserve a break to shop, get their hair done, go to church or meet medical, dental or many other personal needs. Caring for the caregiver, to help sustain them during this time of caring for a dying loved one, is immeasurable. Being a good supportive listener is much of what it takes to show positive recognition, regard and admiration for the caregiver during stressful times. We all know what it costs financially to get or receive help of any kind. Many services are increasingly beyond reach with cuts in funding at the federal, state and local levels. When funds are tight, then TIME and Talent become ever more important. Yes, money can buy many things, but sharing oneself is the gift that keeps on giving.